A little treat to help us to the finish line! NaBloPoMo is led, hosted, and coordinated by BlogHer. You are invited to add your blog URL to that list, too, grab yourself a badge. BlogHer receives a lot of traffic and is constantly curating the internet for blogger inspiration. It’s a great way to expand your reach. It doesn’t require anything besides adding your name to the roll, but you’re also able to go in and share your posts daily. Note, this is open for everyone — menfolk, dragons, hobbits, kenders and the like — so don’t let the name BlogHer stop you from signing up! If it helps your mind to make a plan, now would be the time to make a plan. This one is from BillFriday.com, do you have a schedule tip you’d like to share with the team? Badges and Hashtags, oh my! Your badge should link to CheerPeppers.com or directly to the roster CheerPeppers.com/2016-2. It can be displayed on the site, on each individual post, or not at all– your choice. I do both, so golden readers know what I’m up to, and so silver readers know they’re in the right place. Download the image from this post, and upload it to your own media file, so you can use it as needed. In case you aren’t connected with us on Facebook, check out these recent Facebook Lives. Here are the things that I hear all the time about NaBloPoMo that I think are just– well, untrue. I could be wrong, but here are my thoughts. Myth: NaBloPoMo will make you a more disciplined writer. In the same way that running from zombies makes you a more disciplined runner, yes. This is about the mission, not about the structure. If you forge a discipline from it, I am proud of you, and if you don’t– well, don’t let it get you down. You proved that when you need to run, you can. And you won’t even have to deal with zombies. Myth: NaBloPoMo link ups will bring you more readers. In the same way that writing your number on people’s bumper stickers will get you more phone calls, yes. This is a project that reaches across the globe and across every blogging platform. More people will find their way to you. If they are the sort you want, or what you need, well– that’s a whole ‘nother story, but don’t let it get you down. This vastly increases the chance of finding your way to one excellent reader who loves you. Believe me in this, one is worth millions. Myth: NaBloPoMo is really serious. It’s not. Well, maybe it is, but being a part of NanoPoblano isn’t. We have Cheer Peppers, but no Poblano Police. The first year, we had people who missed a day in the first week. We even had someone make it all month through and then just forget to post on the last day, not calling anyone out by name but she loves foxes, she’s awesome, and sometimes she runs through labyrinths with me. All the Poblanos still loved her to pieces. To pieces, I tell you. Sometimes, I just posted a sentence or two. It counts. It all counts. In fact, my short NanoPoblano posts are what introduced me to the idea of occasionally posting 100 word posts that I now call the “Rarasaur 100”. To offset 1500 word posts like this one. You know what they say– NanoPoblano is the mother of invention. It’s about the commitment, and the want, and the why– not about the word count. Why Blog Everyday in November? If we were having coffee, I’d talk to you about NaBloPoMo. Ask anyone’s whose had coffee with me this month, it’s true. It’s on my mind. NaBloPoMo is internet-speak for National Blog Posting Month, which happens every year in November. It’s a designated time for bloggers to stretch a little bit, by posting every single day through the month of November. Now, if you’re not a blogger, you’re probably thinking– what’s the big deal? That’s just 30 posts with no restrictions as to type or content at all. For people who’ve written hundreds of pages of books, grocery lists, Christmas letters, Instagram captions, Facebook status, tweets, and articles– it should be super easy. To you, I say– You’re totally right. It’s easy. I think you should start a blog. To everyone else, I want to tell you about why you should participate. I started a little group a couple years ago called NanoPoblano (because, really, NaBloPoMo is just too hard to say.) We were our own little bandit team, supporting each other through the 30 days of NaNoBloPoMo’ing. Some of us are fiction writers, some poets, some doodlers, and well, actually. I don’t think there were two similar bloggers in the whole group. But we were bloggers and committed to 30 days, so we were a team. NanoPoblano gets shorted to Little Peppers, and used interchangeably, everywhere. To be clear, there’s no benefit in organizing the group. As Mark, our fearless Captain Poblano, who leads us through the dailies of the month can attest– it’s actually just a lot of work. A labor of love, but a labor nonetheless. It is a labor that doesn’t really bring anything to our door except the right (and duty) to read tons and tons of great blog posts. So yes, when I say “Be a Pepper!”, I am recruiting to my team… but no, it isn’t for any nefarious or even interesting purposes. I just like big teams, and I like it when people get what they want. Well, it is one path to the things you want. If you blog publicly, then you are seeking a good audience. You might be seeking one just for companionship and understanding, like me. Or, you might be a writer, hoping to pitch your audience with your book. You might be a blogger, hoping to sell your words to a site that can afford some of what they are worth– or a maker of things, hoping to engage a chunk of your target demographic. You might be looking to expand your audience, or awaken them, or strengthen them, or find a balance between what you want to write and what they want to hear. Blogging is about stretching and growing towards your community. You will try something new. It might not happen right away but, at some point, you’re going to get tired. The 11th hour is going to click by, and your cat is going to be hungry-meowling, and the trees outside are going to be judging you, and your child is going to tell her teacher that you packed two sandwiches for her lunch accidentally because you think you’re a little pepper and you’re busy working with the big invisible dinosaur who loves you. At that point, you will post something out of character. It might be a gif post, or a poem, or words without pictures, or real pictures of you– and you know what? It’ll be okay. We’ll get to know you more in that hiccup than we did in the previous hundred posts. It might not win you a Pulitzer, but it will be okay. You will meet someone new. You will read something new. At least one of your team members, or one of our CheerPeppers, will catch your attention. Oh, I don’t read blogs about cats that wear hats, you think. What do I have in common with a expat blogger who makes bento platters? you think. Give it time. You’d be surprised what blogs touch your heart. I mean, you’re here. Did you ever think you’d be reading the words of a widowed ex-con who thinks she’s basically a dinosaur? As the expression goes, practice doesn’t make perfect. Practice makes practiced. 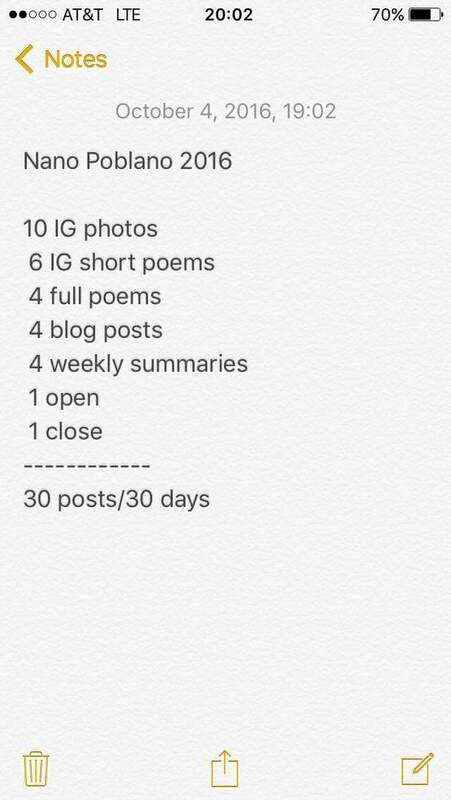 And 30 days of straight, no-days-off, blogging will sharpen you and your style. You’ll learn what floats and what sinks, what scents and what stinks. You’ll pick up tricks from other bloggers– sites that help them do what they do, methods that help them stay organized. You will find prompts that guarantee an audience year-round. You’ll realize your own preferences about your own production of creativity. You will learn. It’s impossible not to.